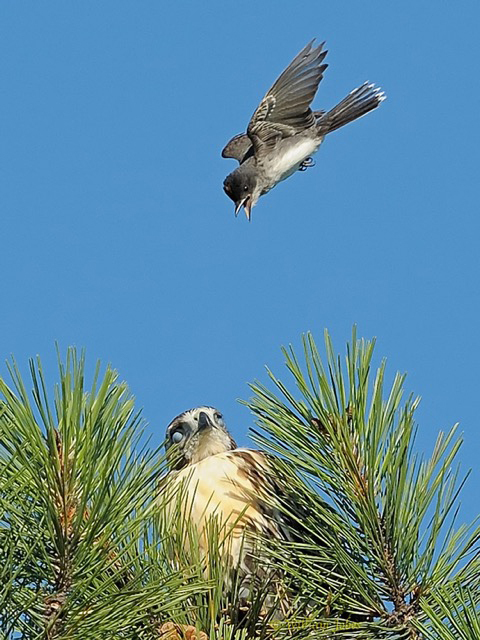 For several weeks, avian photographer William Jobes chronicled the events at and near the nest of a pair of Red-tailed Hawks in Bucks County, Pennsylvania. When he first discovered the nest, a single fledgling of a few weeks old was the sole offspring occupant. Both adults were active in and around the nest. 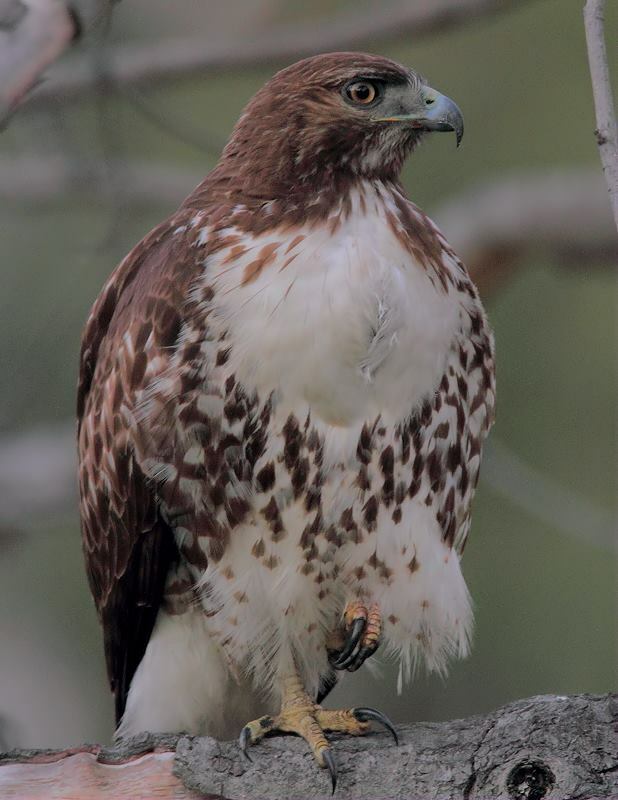 As the young hawk grew, the adults would take their leave of the nest from time to time, flying in wide circles about a half-mile from the tall pine tree where the nest was. 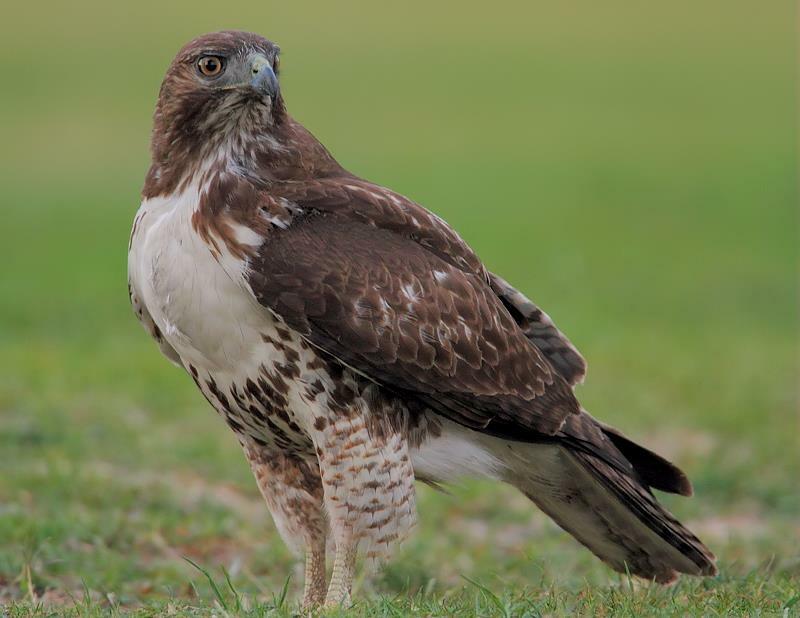 In these flights around the nest neighborhood, the adult hawks drew the unwanted attention of at least three birds, including a Northern Mockingbird, a Red-winged Blackbird, and an Eastern Kingbird (presumably nesting nearby). 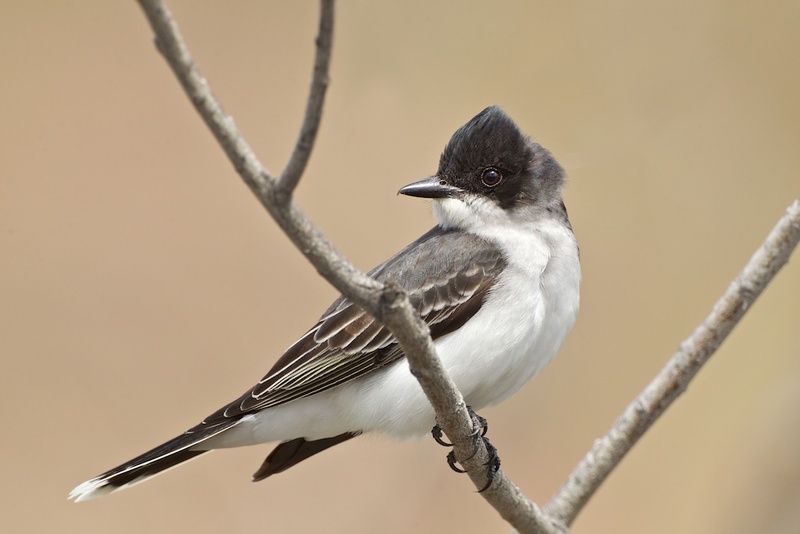 As the fledgling began to mature, both the kingbird and the mockingbird would attack it in the nest from time to time. 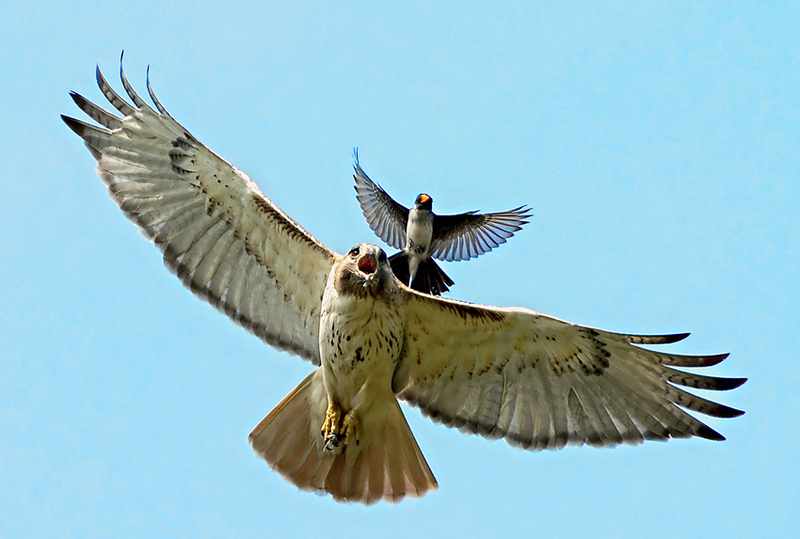 Here the fledgling Red-tail steels itself against the dive-bombing kingbird. It instinctively deployed its nictitating lenses to protect its eyes. 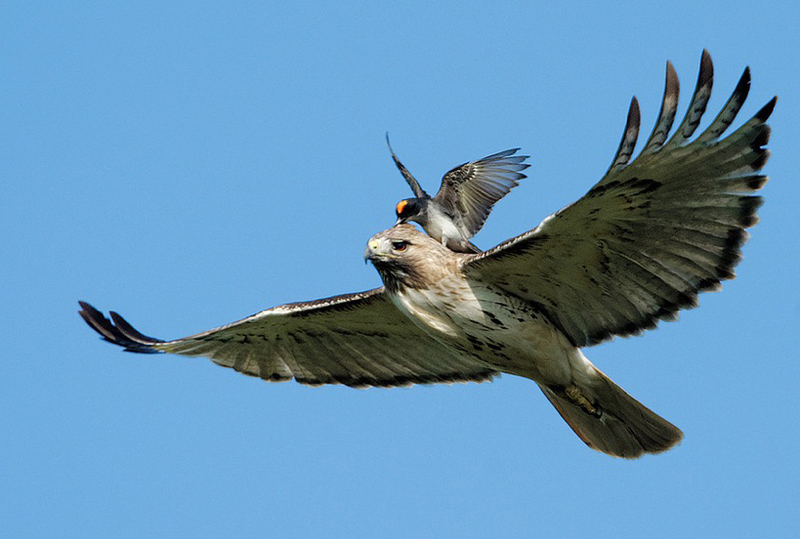 The young hawk stood strong against the onslaughts, and after a number of weeks, successfully fledged from the nest. 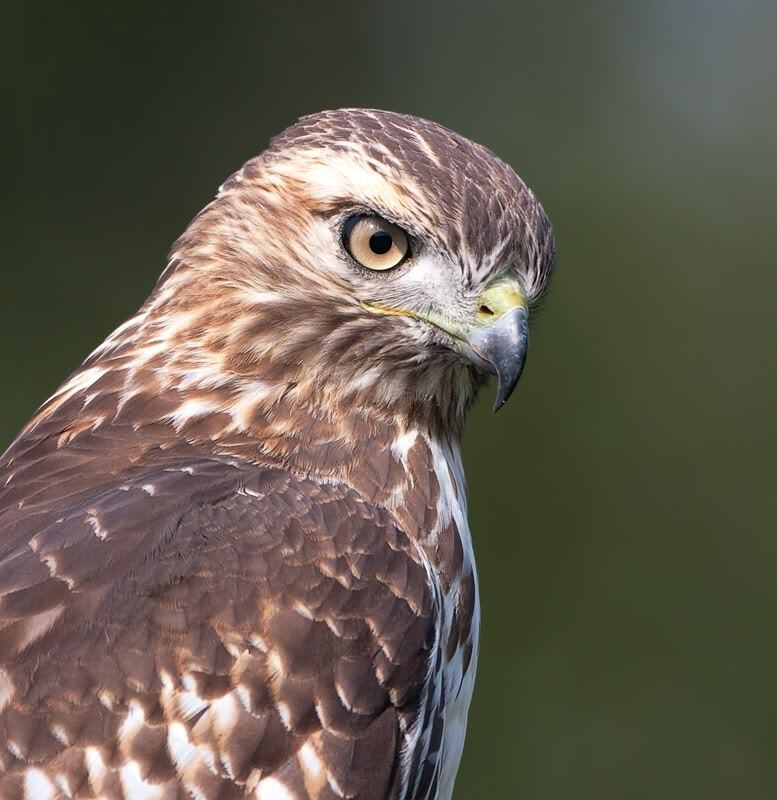 The mature hawks did not return to the nest the following season. 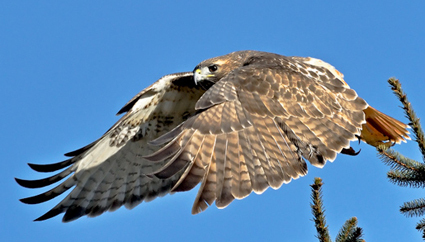 Learn more about Red-tailed Hawks on BirdNote.org. How do SMALL birds know which BIG birds to mob?